Winecoff Fire co-author Sam Heys never undertakes anything small. The former Atlanta Journal-Constitution reporter has completed another epic book. Big Bets: The Decisions & Leaders That Shaped Southern Company. The lights didn't come on in Georgia all by themselves. Bringing electric power to the South took vision, strong backs and nerve. 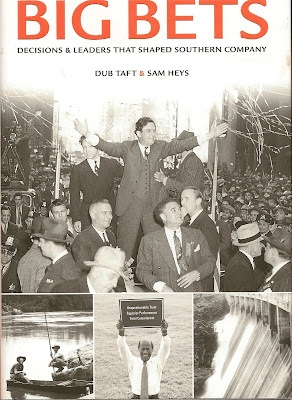 Heys and co-author Dub Taft tell the century-long story of powering the New South. Sam Heys' newest book is now available from amazon.com.